Typically, the 18549 kit is used to mount a CC5MPX, CC5MPXWD, or CCFC camera onto a CM202, CM203, CM204, or CM206 crossarm. The crossarm then attaches to a tripod, tower, or pole. 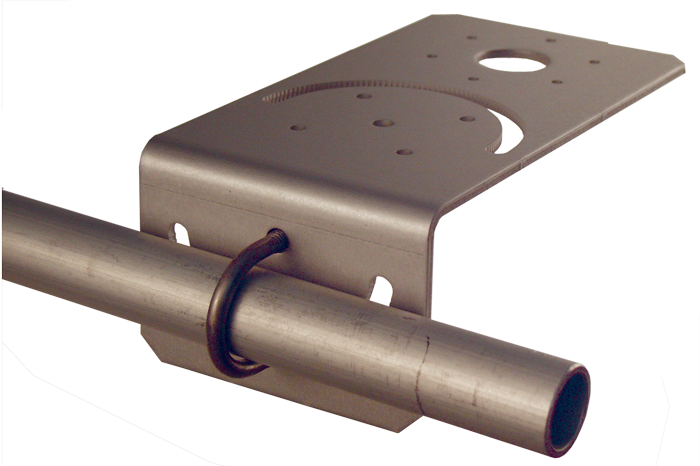 This kit can also be used to mount the 18543 CC640 Camera Enclosure or PWD22 Present Weather Sensor (manufactured by Vaisala) to a crossarm. The 18549 can be used to mount a pipe with a maximum OD of 1.5 in. The CC5MPX and CC5MPXWD cameras fastens directly to the 18549 mounting bracket. The 18543 CC640 Camera Enclosure fastens to this enclosure; the CC640 must be housed in an environmentally sealed enclosure to protect it from moisture or high humidity. 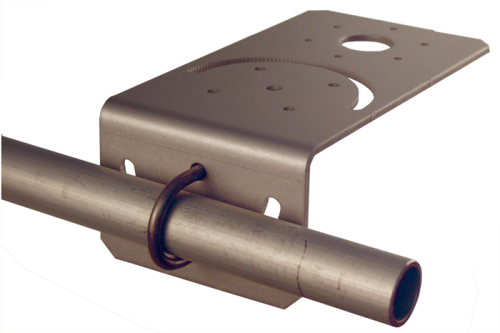 This kit can also be used to mount the PWD22 Present Weather Sensor (manufactured by CSL) onto a crossarm.